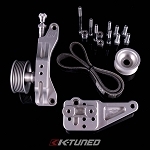 Discontinued Water Plate Kit for B-Series alternator. This is a slight remake on the original design with incorporates our new plate with o-ring seal. It includes the new custom fitting which allows -16AN port fittings to be easily used. 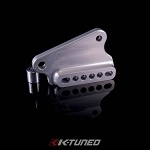 Here is another innovative part from K-Tuned. 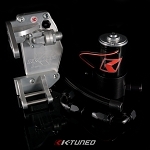 For several years now racers have used electric water pumps to reduce the power robbing effects of parasitic drag from their engines. By reducing the number of accessories the crank needs to turn there can be some impressive gains. 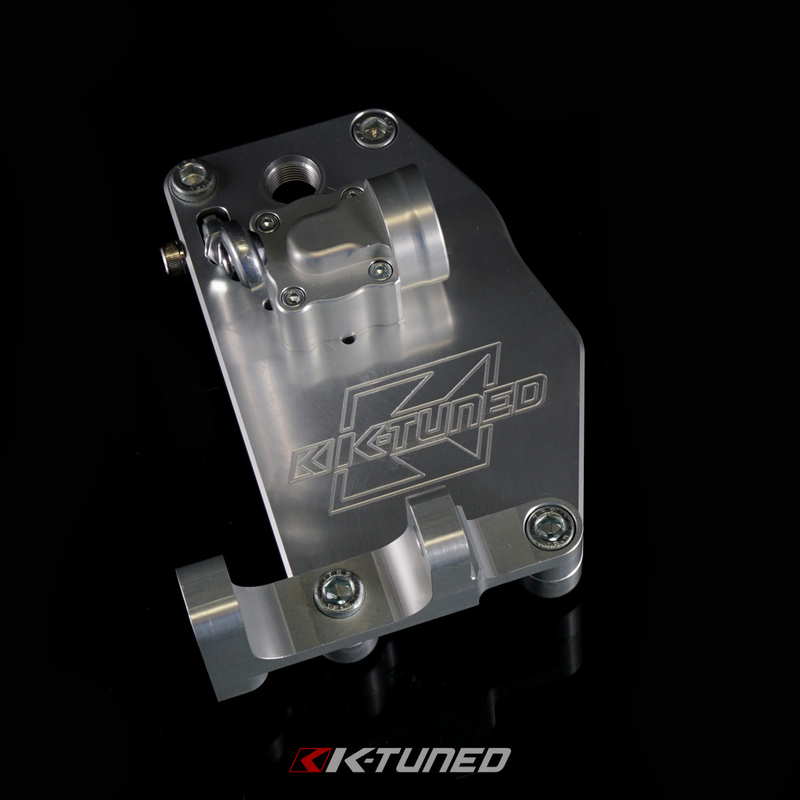 The K-Tuned Water Pump Block Off Plate system was designed to setup a K-series engine to run an electric water pump cooling system. 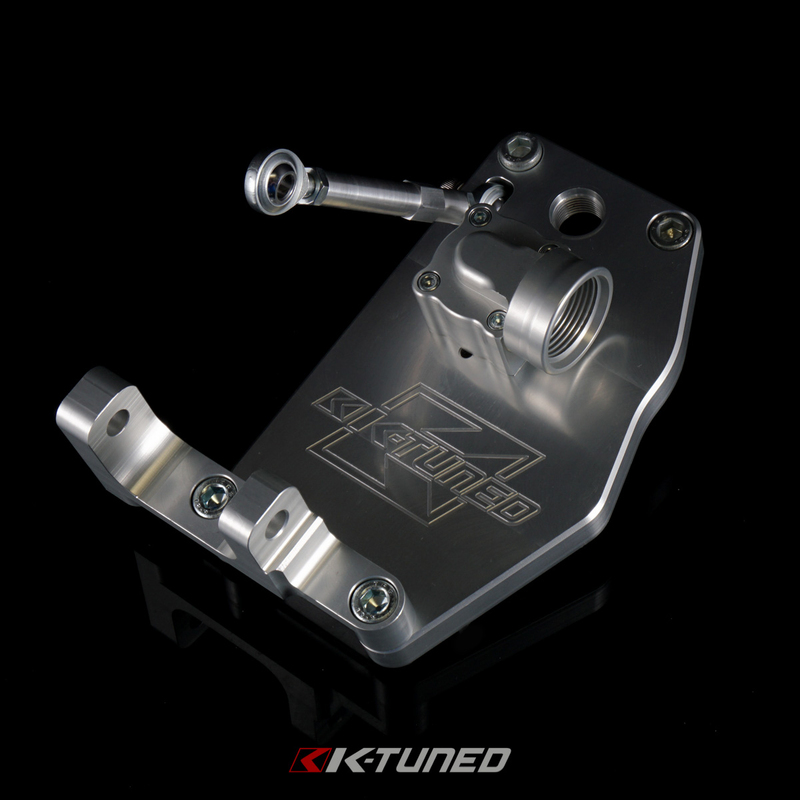 It replaces all the bulky and heavy OEM accessories with a simple lightweight aluminum plate. 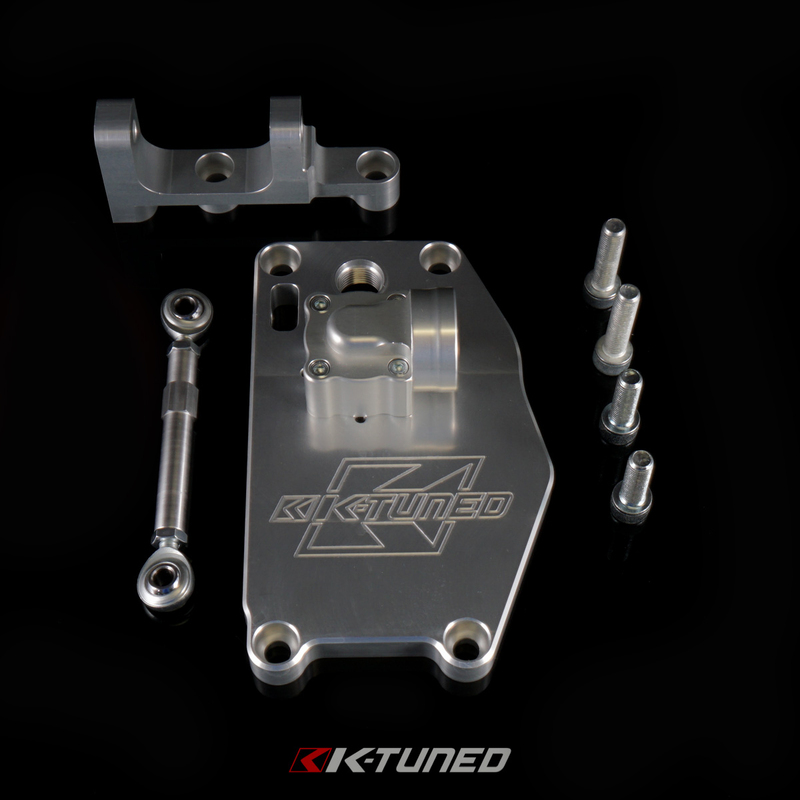 The kit is designed to allow the perfect flow of coolant and also effectively release unwanted crankcase pressure. The water port is sealed just like it was from the factory using the oem o-ring seal. 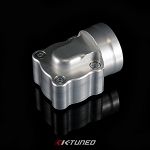 The breather port is threaded for an 8AN fitting and can easily be routed to any catch can set-up.